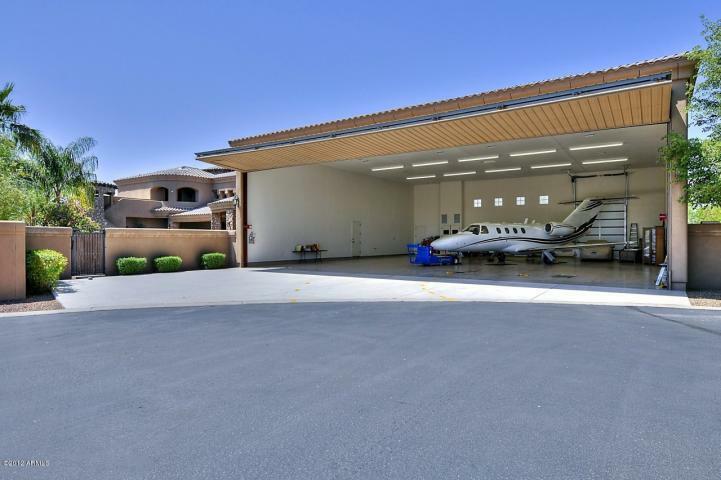 View ALL homes for sale in Arizona here with a private hangar attached for your private airplane. This map is 100% accurate. As homes come on and off of the market, the below map will automatically update so you do not have to shuffle through multiple out-dated Real Estate Websites to find what you are looking for. Please use the section below to view all homes for sale with private hangars attached. If there are any homes that you would like to view in person, simply give me a call at 480-323-5365 and I will show you any, and all homes of interest. Helping people buy and sell luxury homes with private hangers for their private aircraft. With over 25 years of experience in Arizona Luxury Real Estate! Stellar Airpark is very popular for those who own their own aircraft. Stellar Airpark provides luxury hangers attached to luxury properties. If you have your own aircraft, you can park it in your own private hanger, and walk right in to your home after a day of flying. These properties are very unique for aircraft owners who enjoy luxury and privacy. I can email you ALL Stellar Airpark homes for sale for free. Simply give me a call and I will email you the list. If there are any homes that you would like to see in person, I will be happy to set up a showing for you. I have no problem offering 30% below asking price for my buyers. If you want the best price possible being aggressive is imperative. I look forward to working with you! With Over 20 Years of Experience in Arizona Real Estate! Specializing in Scottsdale and Paradise Valley luxury home sales. See what going the extra mile really means. I have no problem offering 25% below asking price for my buyers. If you want the best price possible, being aggressive is imperative. If we see a property listed at 2 million, we will make an initial offer at 1.3 million. With firm negotiations, I will get you the best price when purchasing your new home here in Arizona. When selling your home, Realty One Group's superior marketing campaigns accompanied with aggressive negotiation tactics will get you the highest and best price possible for your home. The buyers are coming from Canada and other foreign markets, which is where we concentrate our marketing efforts on your behalf. knowing where the buyers are coming from is 80% of the battle. 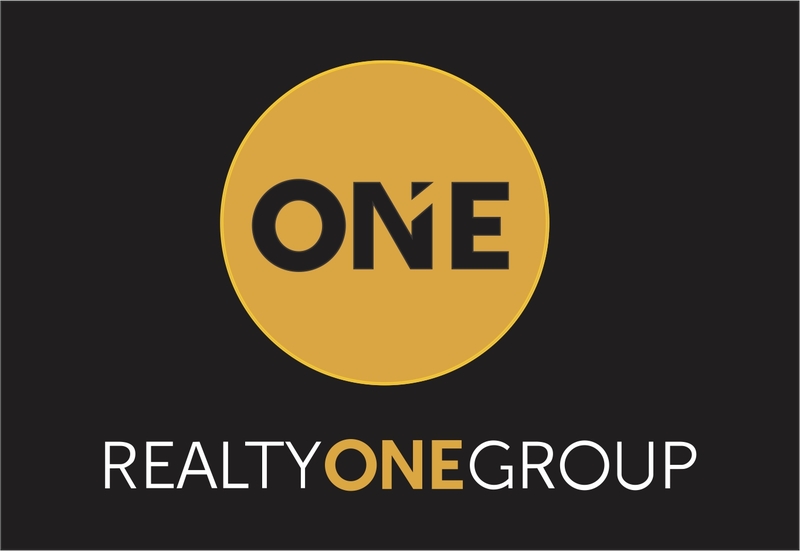 Realty One Group will sell your home at the absolute highest price possible. Whether you are a first time home buyer, investor, or looking for a home for your family, I am the first agent you want to speak with. I am a Realtor with Coldwell Banker and I help people buy and sell homes all over the state in cities such as Scottsdale, Phoenix, Paradise Valley, Fountain Hills, Arcadia, Carefree, Ahwatukee, Mesa, Chandler, Goodyear, Gilbert, Cave Creek, Peoria, Higley, Queen Creek, Avondale, Buckeye, Surprise, Glendale, Anthem, and all the metropolitan area cities. On this website you can search all homes for sale in Arizona by clicking on PROPERTY SEARCH . On this site, you can search all property for sale in Arizona. You can view property offered by Coldwell Banker Residential Brokerage, RE/MAX, Century 21, Russ Lyon, West Usa, Long Realty, Realty Executives, Equitable, John Hall and Associates, Home Smart, and every other Real Estate Firm that posts their listings on the MLS. Wal-Mart Stores Inc. , Banner Health, Wells Fargo & Co., Bank of America Corp., McDonald’s Corp., JP Morgan Chase & Co., Apollo Group Inc., Intel Corp., Kroger Co., Honeywell International Inc., U.S. Airways, Target Corp., Home Depot Inc., Dignity Health, American Express Co., Walgreen Co., Boeing Co., and many others. Nicholas McConnell with Realty One Group has over 20 years of experience helping Professional Athletes, Doctors, Orthopedic Surgeons, Lawyers, Business Owners, Corporate Relocation Employees, Stock Brokers, and many other heavy hitting Professionals buy and sell Residential and Commercial Real Estate here in Arizona. Selecting Nicholas McConnell for all of your Arizona Real Estate needs is certainly in your best interests. See what going the extra mile really means. If need be, I have limos and security standing by. I have helped people buy and sell property here in Arizona associated with the National Basketball Association, the National Hockey League, Major League Baseball, the National Football League, and several other very well known associations across the planet. I am here to protect your best interests, and that is exactly what I will do for you. Please consider me for all of your Arizona Real Estate needs. My family and I sincerely appreciate your business. Your families safety, security, and happiness is my priority. If we see properties, hypothetically speaking of course, listed at 5 million dollars, we are going to write up an initial offer of 3.5 million. Most likely we will not get the property for 3.5 million, but they will send us a counter offer and we will proceed to negotiate. I see too many Realtors offering 5% below asking price. There are too many Realtors afraid to “offend” the sellers by submitting a low offer. This is not a game, this is your hard earned money at stake. I have absolutely no problem offering 30% to 40% below list price for my buyers. If you want the best price possible, we must be aggressive when submitting offers to purchase. In order to get the best price possible, you must be willing to walk away from the deal. At a certain point, everyone has their bottom line. I will find the bottom line on your behalf. At that point, we either move forward or walk away. All of my clients know that they are getting the very best price possible when I represent them. They all come back to me no matter if they are buying or selling property here in Arizona. They just don’t trust any one else to do it. I have been told that time, and time again. I look forward to working with you, I sincerely hope to hear from you soon. Nicholas McConnell with Realty One Group Luxury Real Estate in Arizona helps people buy and sell homes with private hangers attached to their luxury homes. Many of my clients have private jets and private helicopters. There are Airparks in Arizona that that my aviation clients love such as Stellar Airpark and Carefree Airpark Estates. Many of my clients enjoy some of the below private aircraft, these seem to be the most popular amongst most of my clients. If you have any questions about private private jets or private helicopters, I have people standing by for you. You can wake up in your home, go into your garage, and take off on your private runway for a day of flying. It is simply wonderful.